Being an accomplished stonemason requires an understanding of physics, geology and geometry, while also having a keen eye for art. And sometimes, brute strength is needed. Born and raised in Greensboro, Nick attended Page High School and played football for the Pirates. There, he earned a football scholarship to play at NC A&T State University for the Aggies. Football though wasn’t his future; stone masonry was. 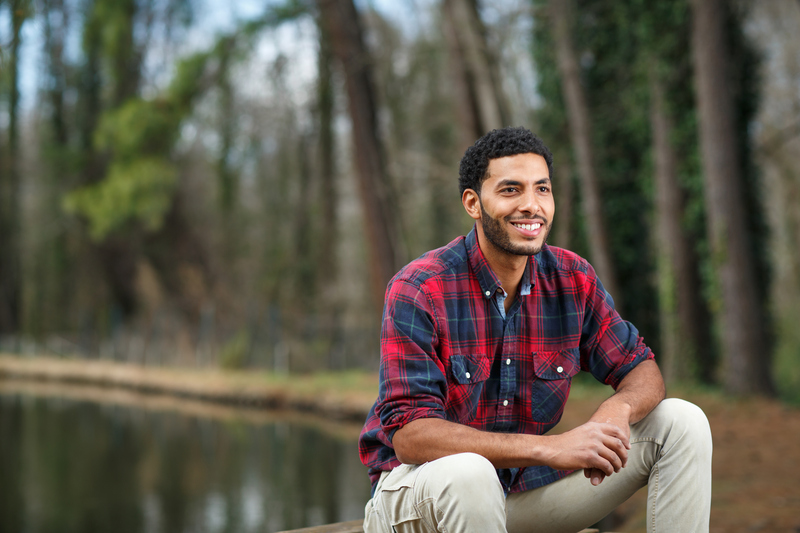 At NC A&T, Nick majored in Construction Management and studied the management of people, processes and materials. After earning his degree, Nick accepted a job in Maryland with Hensel Phelps Construction Company, one of the largest firms in the US. After a stint with Hensel Phelps and a year in Arizona, Nick made his way back home. Recently, Nick worked with the Downtown Greenway on its relocation of “Grounded Here” public art piece by artist Juan Logan. The piece serves as marker of historical significance for the Warnersville community and will be re-dedicated in its new home at the newly finished The Salvation Army Center for Worship and Service and Boys & Girls Club on Tuesday, May 23 at 9:00am.